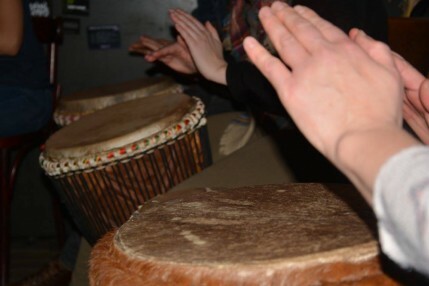 Defining Team Building metaphors inherent to drumming. Teams are given different musical responsibilities, underlining the different roles in business structure, and experience the synergy when compositions are brought together. 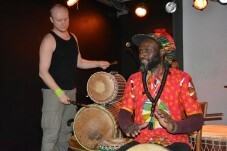 The workshop will unite your group and have them drumming in harmony together in 5 minutes flat. 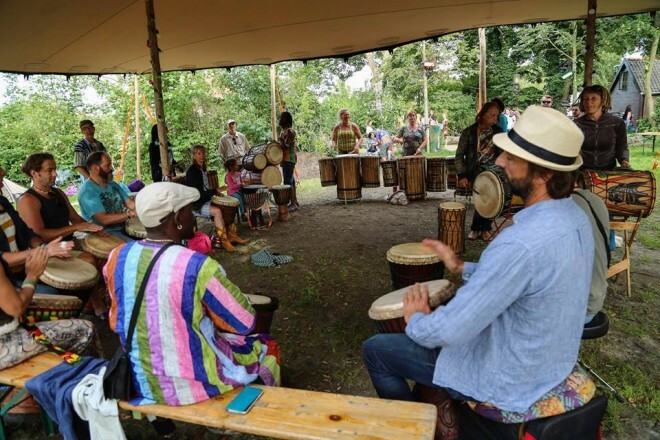 The ensemble nature of African Drumming is synergy in action; a live metaphor for the principles of teamwork, leadership and communication needed for groups to meet their potential. We’ll shake the rust off the team’s dynamics, get people connected and leave them feeling empowered and uplifted. This high energy, fun-filled session is designed to blast away fatigue and leave your team buzzing. We’ll have them re-energised with a snappy session that’ll lift the energy of any event.